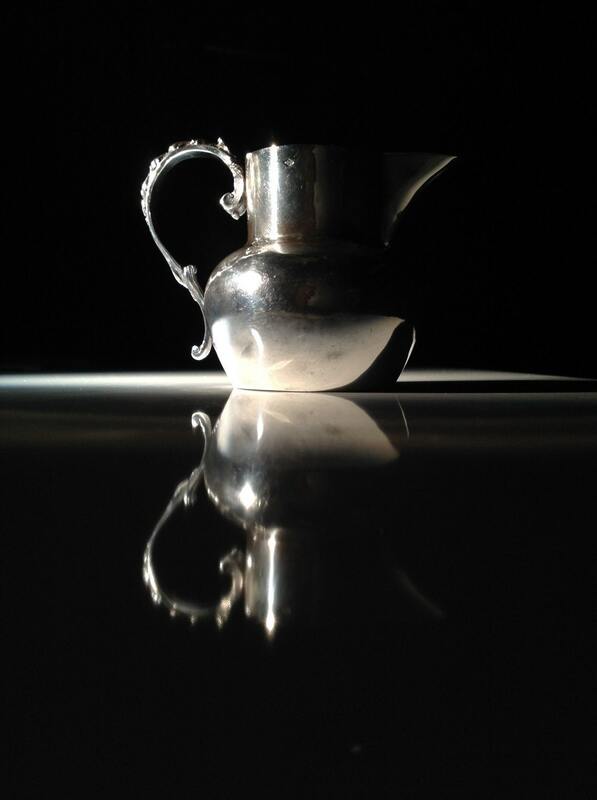 This hand forged late 19th century French sterling silver (800) cream jug will not disappoint. 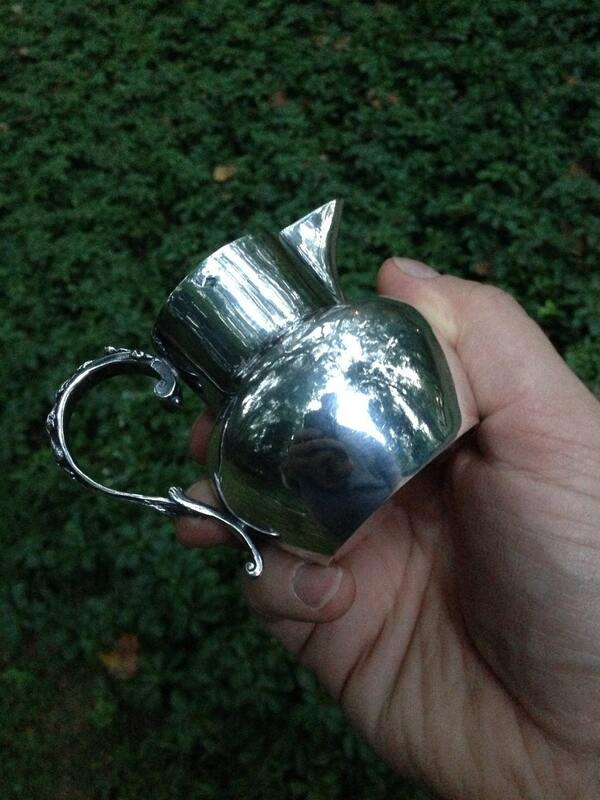 This piece was silversmith built painstakingly over days, not stamped out in a factory. The quality is unmistakable when you feel it in your hand. Extremely heavy gauge and sturdy build. 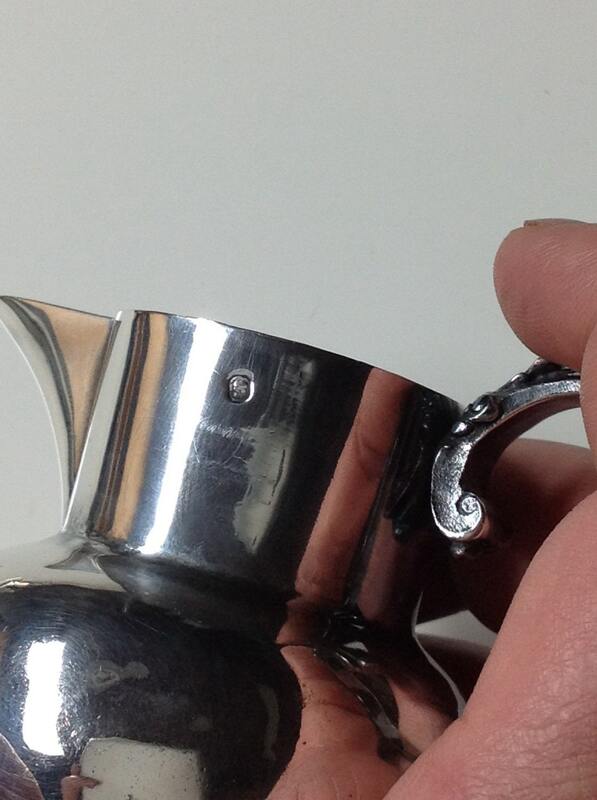 A simple flat bottom and a prominent spout balance the handle. The handle is elegant and festooned in raised ancanthus leaves. Simple elegance in design, it is unadorned besides the handle. Assembled from 4-5 individually forged pieces. 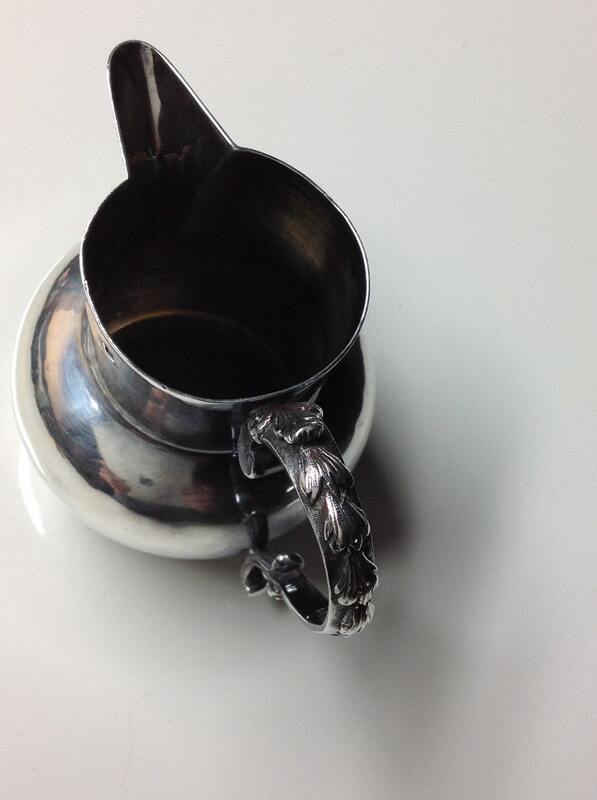 Classic French silversmithing. Made in the Marais in Paris at the Molle shop (active 1898-1919). 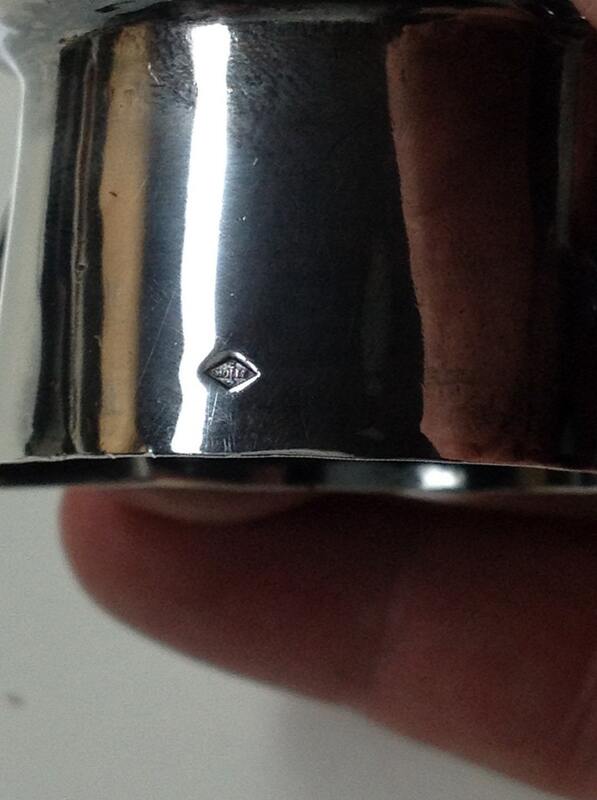 Hallmarked with the traditional E Molle in a diamond cartouche as well as the French Minerva mark. Diminutive personal size, this holds 5 ounces comfortably, and weighs in at a hefty 86.0 grams. Condition is very good with minor very small dints (shown) and with appropriate patina.